This is the moment when your vacation on yacht begins ... You definitely need to have the charter contract, voucher, skipper's license, VHF license and personal documents. It is very important to mention in advance estimated arrival time to base, so we tried to make embarkation as soon as possible. Regular check-in is scheduled from 16.00 pm. Upon arrival at the base and you should go to the office to solve the last paperwork. You need to show the original skipper's license and VHF, take a verified list of passengers and pay a security deposit, or if there is an option to pay insurance of the security deposit. If you arrive by car, the staff at the base will help you to find a parking place. When you've done the paperwork in the office, you are ready for check in. 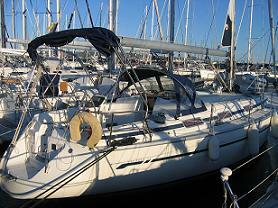 Upon boarding, together with base staff you will control boat inventory and equipment of chartered boat. Be carefully when checking equipment to avoid further difficulties after departure. If everything is in order, both parties signed the inventory list and you can set sail. During the charter, you have contact for technical support and eventual intervention. 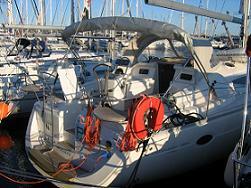 Every damage on rented boat or defect must be reported immediately to the base. Do not forget to fill water tanks and fuel tanks before disembarkation. Return to base at Friday afternoon is recommended. Check out will be done on Friday afternoon or Saturday morning. At the check out, you will be passing control to the inventory list again. 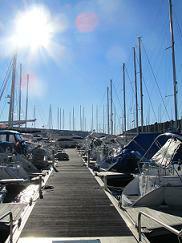 Boat condition should be the same as on embarkation. In case of defects or any other problems during the charter, it is very important to specify in writing all of the inventory list. Then again, both sides sign the boat inventory list.